I heard that also Choseian serve young sweetfish tempura from my friend. So, I got up early and went to Choseian for that. I found the menu in front of the restaurant have the word “young sweetfish”, so we entered the house. Though I wanted to get out of the restaurant and went to Tenfusa, anyway, I ordered marinated tuna bowl set (まぐろ漬け丼セット, 1050 yen). 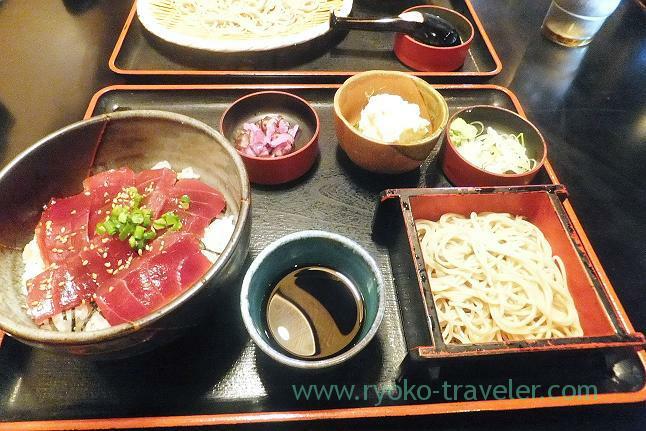 Tuna bowl set have small tuna bowl and small portion of soba. Also potato salad and pickled vegetables. 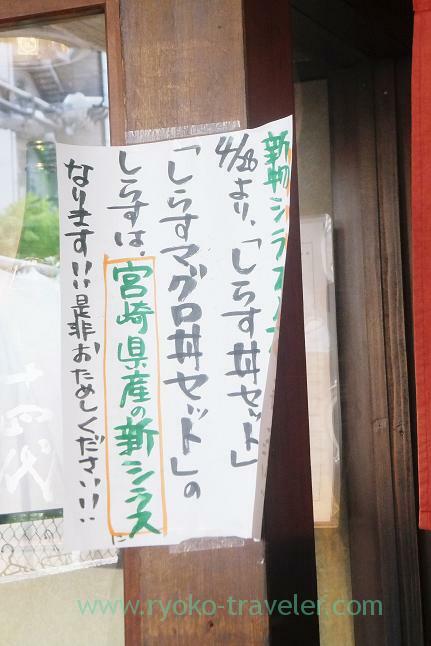 This is soba restaurant, but they are proud of the quality of tuna , too. By the way, there are only “tuna and sardine bowl set” and “sardine bowl set”. 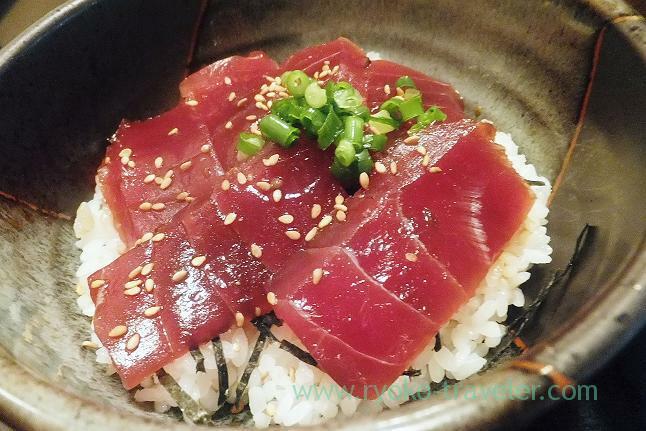 But if you order “Only tuna bowl set”, they accept the order with more 100 yen. My friend ordered warm kakiage seiro (かき揚げせいろ, 1150 yen). 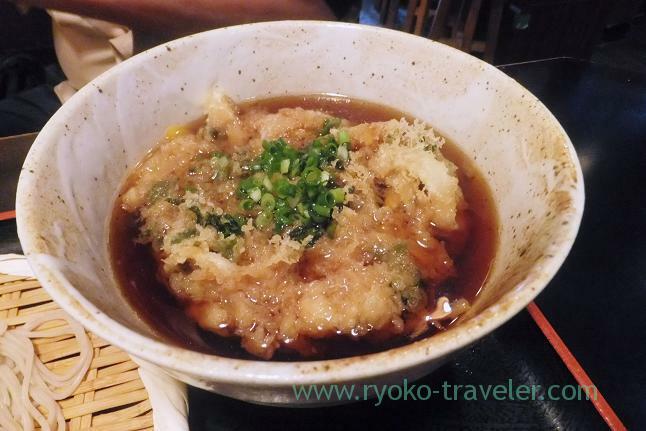 Warm soup and kakiage tempura. Now young sardines season has opened, and this Choseian has started to serve fresh young sardines from Miyazaki prefecture from April 28. Well, I should have ordered sardines ??? I think they prepare it at lunchtime…. Tenfusa steadily serve sweet fish every this season…so, when I want to eat sweet fish as breakfast, I should go there.